Despite producing some of the best alcoholic drinks in the world, from Spanish wine, to Sherry, to Liqueurs, there is a whole load of different Spanish cocktails and drinks recipes to be found in Spain. Some of these recipes are based on traditional cocktails that you might find in some Spanish cities, whereas others make creative drinks and mixes out of traditional Spanish beverages. Why not organise a Spanish cocktail party and impress your friends and family with your Spanish alcohol knowledge! Don't forget that while Spanish cocktails may look and taste like soft drinks, they often disguise the true alcohol content. Therefore please remember to drink responsibly and don't let alcohol ruin a fun evening! 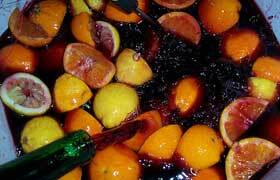 Zurracapote - Zurracapote is similar to sangria as it contains red wine, fruit, sugar and cinnamon. It is usually prepared in large quantities for parties and fiestas. It is also unique in that can be served hot or cold. Soak the various fruit (peaches, raisins and prunes) in lukewarm water for around 2 hours. Pour the red wine into a pan, and add sugar, cinnamon and lemon peel to it. Heat the wine mixture until it begins to boil gently. Remove the pan from the heat and stir. Drain the fruit and add to the wine. Cover the pan and then boil for a further 15 minutes. Serve the drink hot or cold. Rebujito - This is a popular cocktail that you might see if you visit Sevilla in the region of Andalusia. It is normally drunk during the 'Feria de Abril' or 'April Fair' and goes well with some traditional Spanish tapas. 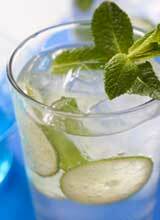 This drink is similar to a white wine spritzer but the Spanish tend to use a soda with a strong lemon flavour. The drink is extremely easy to make, especially with its 50:50 ratio. However if you have a sweet tooth, or are just teetotal, then you could always adjust it to include more lemonade than wine. Sherry-tini - Sherry lovers may be horrified by this cocktail but the wine does bring a whole new dimension to Spanish cocktails. This particular one is a Martini except that the vermouth has been replaced with a dry sherry - a new twist to the classic. If using olives, stick the olives on cocktail sticks and place in four chilled martini glasses. If using orange peel, hold each strip of orange peel over a lit match, skin side down, for a moment. Then drop the peel into the cocktail glasses. Place ice in a jar or cocktail shaker. Add the gin and the sherry and shake or stir. Strain the mixture into the cocktail glasses. 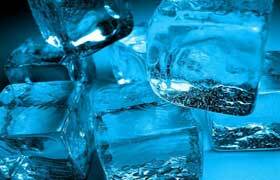 Frozen Barcelona - A funky recipe making use of both Spanish sherry and Spanish brandy. This ice cold yet fruity cocktail is great for parties and is best enjoyed on a hot summer's night in Barcelona. Put all the ingredients in a blender with around three-quarters of a cup of crushed ice and blend well. Pour mixture into a Sherry glass. Garnish by dusting with cinnamon. Although these are not necessarily the traditional cocktails you might find across Spain, they make an inventive use of some of Spain's best drinks and wines. Naturally, good quality ingredients will always result in a better quality cocktail. However we wouldn't advise making cocktails out of your best bottle of Sherry. Nonetheless, these are great Spanish cocktails and will impress your friends from home.